After taking a month off and not selecting a property to feature as our August Community of the Month, we knew that in September we would be challenged to find an extraordinary community to feature as our come-back. Stepping up to the challenge, we give you White Rock Lake Apartment Villas, LPC’s September Featured Community of the Month! Imagine a home that offers two sides to living…a luxuriously elegant environment of two distinctive lifestyles; tranquility and activity. Just steps from the trails at White Rock, White Rock Lake Apartment Villas offer a glamorous rhythm of energy and style. One and two bedroom apartment villas, complete with granite countertops, black and clean steel appliances and wood flooring offer luxurious tranquility after a day of play on White Rock Lake! Minutes from Lakewood Village Shopping Center, Downtown and Uptown Dallas, and nestled closely to The Dallas Arboretum and Casa Linda, White Rock Lake Apartment Villas allows the perfect blend of upscale urban living with the lively athletic lifestyle that is East Dallas. 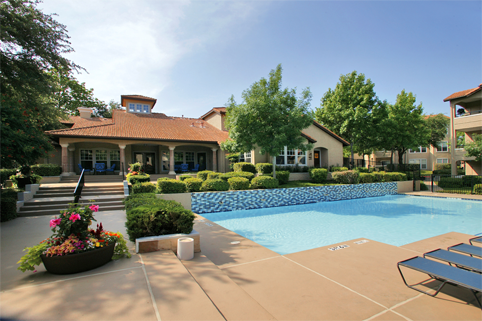 Keeping in step with an active lifestyle, White Rock Lake Apartment Villas’ residents can forgo their gym memberships. Unlike many apartment communities in the area, the expansive amenity offerings will keep residents on the run…or on the ride. Mountain bike rentals, spin and cycle room, tennis court, cardio theatre, and a sand volleyball court are just a few of the enticing amenities this community extends. White Rock Lake Apartment Villas offers amenity-rich, contemporary living, where residents can absorb breathtaking views of White Rock Lake and can participate in a kayaking lesson! Both flavors offer a seamless unity of sophistication and energizing community life.